For ideas to make a wedding card, start with a sketch to create unique wedding card designs. Make pretty & unique wedding cards that will be appreciated. I purchased an ebook called 50 Card Making Sketches and used one of the layouts for this handmade wedding card idea. I altered the sketch a little bit with this handmade card making project but kept most of the foundation of the design. I think the author uses pattern paper that is a bit outdated but you can use your own paper to make more modern handmade wedding greeting cards. 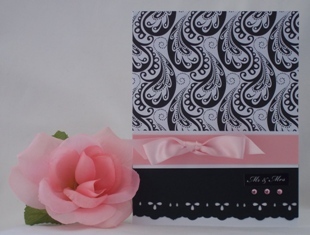 The author includes instructions to make this card and measurements but I made a 5" x 6 1/2" card so modify your measurements if you are going to follow my handmade card idea. Birthday quotes are also included in the set of ebooks that you purchase which is helpful when you have to come up with other handmade card ideas for birthdays. If you don't know what supplies to use when you are staring out with card making, the author has suggestions on what materials to start out with and this section is another part of 50 Card Making Sketches. Also included is an ebook on adhesives which comes in handy since there are so many types of tapes and glues to choose from. For your paper card making ideas, the author gives you tips on how you should adhere vellum since it's a bit tricky. Overall, you get a lot of helpful information from the set of ebooks and I find myself referring to them often when working on homemade card ideas. 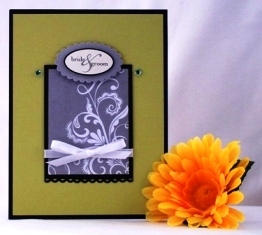 Handmade wedding cards can be any color you want. I started with a black and white scrapbook wedding kit and started thinking about ideas for wedding cards. 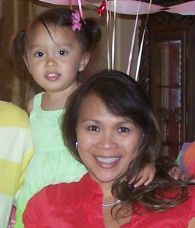 I knew I wanted to add color since black and white was so bland so I thought of adding green. The kit was perfect for making homemade wedding cards because it included lots of stickers and wedding paper. I chose a grey and white border print. The print on the paper was only on the border so I decided to cut only a section of the border since I needed a small piece for my wedding card idea. You can get the instructions for this home made wedding card in 50 Card Making Sketches but it's pretty simple. 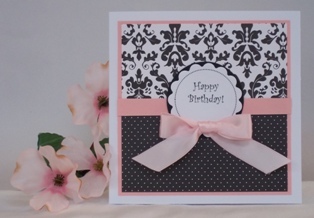 I often use craft punches for my homemade greeting card ideas and used a small scallop one on the bottom of the black border surrounding the grey and white pattern print. Since the scrapbook kit included lots of stickers, I used one that said "bride & groom" and placed it on the top of the pattern paper. 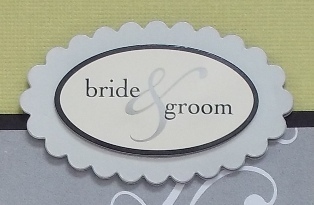 Use satin or sheer ribbon when making wedding cards. These types of ribbons make the card look more elegant. I used a thin width ribbon so as not to overpower the pattern paper. Wedding card making projects are fun and easy if you can start with a sketch to get you started. When you make a wedding card, it's that extra special care you took into making it by hand that will be appreciated.